For those who are considering purchase of real estate in one of the Alpine resorts, buying an apartment or house in Zillertal (Austria) is one of the best choices. 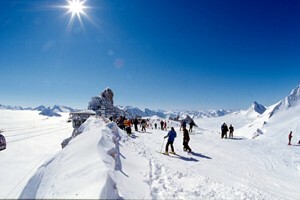 The slopes of Zillertal are literally packed with ski slopes. All of the main resorts in the area are well connected and to be found in a relatively small space (one ski pass is enough for all of the resorts). Yet at the same time, you never get the feeling that you are in an artificially created tourist resort. All real estate is built in the typical Alpine style and sensitively incorporated into the landscape. Prices of older apartments in Zillertal start at a level of around EUR 80,000, new apartments are sold at prices starting from approximately EUR 150,000. 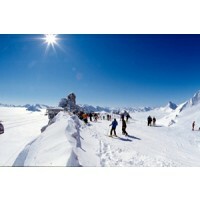 Prices of older houses for sale in Zillertal start at around EUR 300,000. When purchasing real estate in Zillertal, you must take into consideration the fact that the number of houses and apartments intended for recreational use is limited. The situation is similar throughout the whole of Tyrol. Most real estate is intended either for permanent habitation, or must be provided for rental apart from personal use. This chalet built in 2011 is built in the classic Tyrolean style with sensitive incorporation of modern features. The well-lit rooms provide wonderful views into the surrounding areas. The building includes a home fitness centre, terrace, sauna and whirlpool bath. The living room with a fireplace is the ideal place to sit and while away the evenings. A ski slope is located a few minutes away. A tastefully appointed apartment situated in a quiet location yet within walking distance of ski slopes, restaurants, shops and other services. The wonderful view from the living room looks out over the Alps in Zillertal. The spacious flat has a kitchen, living room, 3 bedrooms, 2 bathrooms, 3 WCs, a sauna, cellar, garage and 2 balconies. Ideal even for a larger family or larger group of friends. A holiday home with a garden in the Krimml ski resort, famous for its waterfalls as well as its great ski slopes which are located not far from the house. Seating available outside, beautiful views over the surrounding landscape. Apart from the living room, the house has 3 bedrooms, a kitchen, 2 bathrooms, a toilet, terrace and balcony. The house was built in 2006. This house which was originally operated as a guest house with cafe, is located in Kapfing near the famous Zillertal Arena ski resort. The real estate is located in a quiet area with villas. The house offers variability in its future use. Are you interested in purchasing real estate in Zillertal or its surrounding areas? Contact us. More detailed information about the Zillertal/Hintertux location.